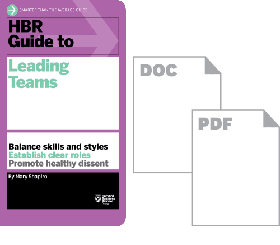 HBR Guides + Tools are packed with how-to essentials from leading experts and easy-to-use downloadable tools. 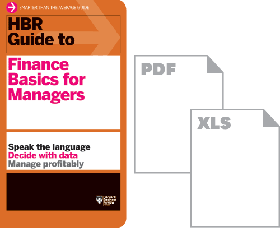 These top-selling digital resources are a must for managers on the move. Craft a compelling case no matter what your business objective. Discover how to course-correct behavior, recognize achievements, and motivate your team with confidence. 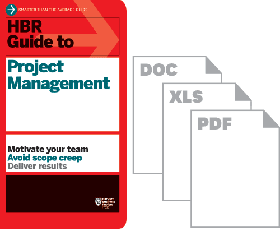 Plan, build, manage and close out business projects of any size – on time and with less stress. Don’t let your fear of finance get in the way of your success. Master the fundamentals—and teach them to others. Great teams don't just happen. Get your team performing at peak efficiency quickly. 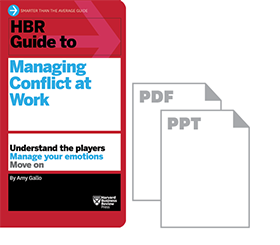 Address conflict professionally and productively—and in a way that improves both your work and your relationships. Downloadable templates, worksheets, and business tools you can use again and again. Get instant access today.